Save over 60% with this Special Offer Pack which provides everything you need to engage and support lower level readers in Year 8. The Y8 Reading Booster Student’s Book is jam-packed with engaging texts that have been carefully adapted for students with a reading age of 8–9 years. Texts from a variety of genres, including lots of non-fiction, are presented in magazine-style layouts that your students will love. Each page is designed to capture students’ imaginations without distracting from the text itself. The Y8 Reading Booster Teacher’s Book is provides 25 flexible lesson plans, which can be used across Year 8 or selectively to support your existing resources. The CD-ROM resources can be printed out and photocopied. All for only £99.00 plus VAT! 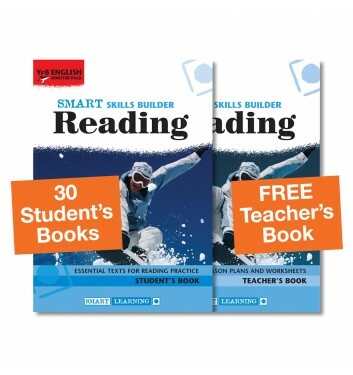 The Reading Booster Special Offer Packs cannot be ordered on approval’by UK schools. 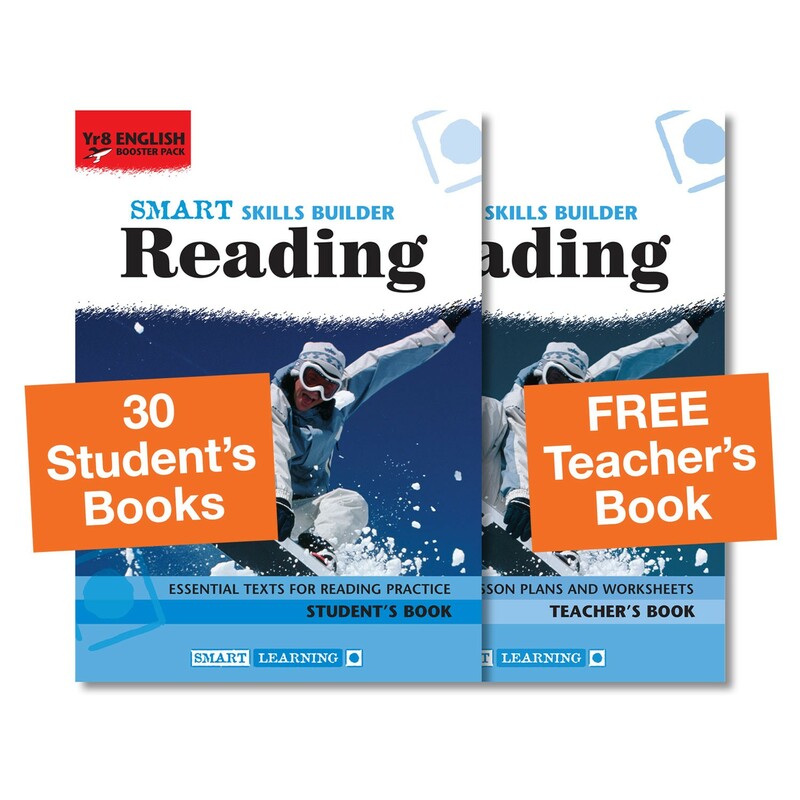 Why not download and try a free lesson from the Smart Skills Builder Reading Booster Packs series?